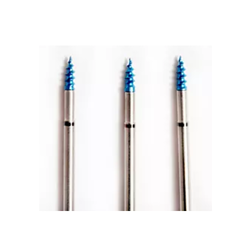 Offering you a complete choice of products which include mini-vim suture anchor, mini-vim-ii-suture-anchor and mini-vim-suture-anchor-with-needle (arthroscopic implants). tremendous pull-out strength, this anchor can be manually inserted. purchase of cortical bone that increase both strength and eliminates “anchor” pull-back. BioFiber, has ideal fixation strength, stability and tremendous pull-out strength.